Only for the Windows 10 Enterprise version! Make appropriate choices in accordance with material capacity and desired configuration. Confirm and link the GPO on a test O.U. Then do a GPUPDATE / FORCE. 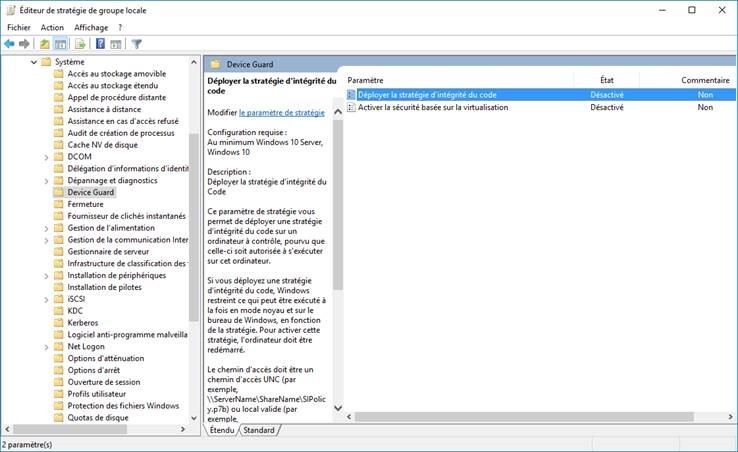 GPO Pack ‘s system allows you to deploy the exact same settings on non-domain joined PCs, through a script or from a TS MDT/SCCM. In my case the purpose was to deploy automatically that GPOPack during MDT deployment. Exporting Local Policy… this process can take a few moments. 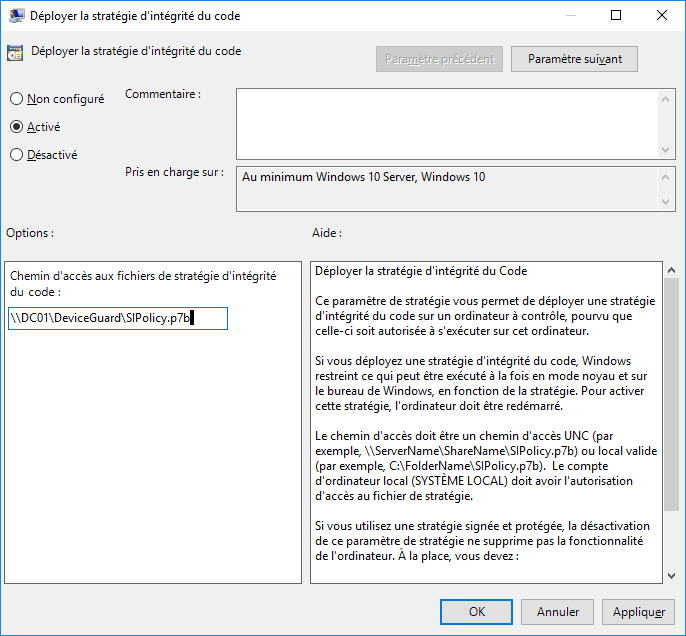 During TS, there is a step called Apply Local GPO Packs that will apply your GPO Pack in deployment. 13. If conclusive: go on mode PROD. Compile and copy the file, then restart. Device Guard allows you to achieve optimum security for your sensitive machines. It is not a tool you would apply on all machines, only on those you really want to secure! 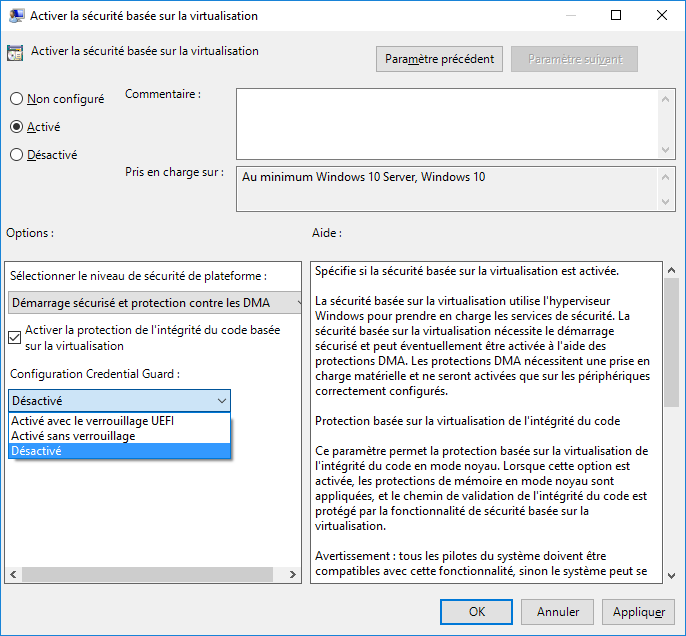 Cet article a été publié dans ENGLISH, Formation, Ransomeware, Security, Windows10. Ajoutez ce permalien à vos favoris.